An archaeological survey commissioned by former Attorney General John Rogers, SC, as part of his objection to an N2 bypass running east of Slane has found a previously unrecorded “impressively large earthwork”, believed to be part of the outer defences of an early medieval royal stronghold at Knowth. 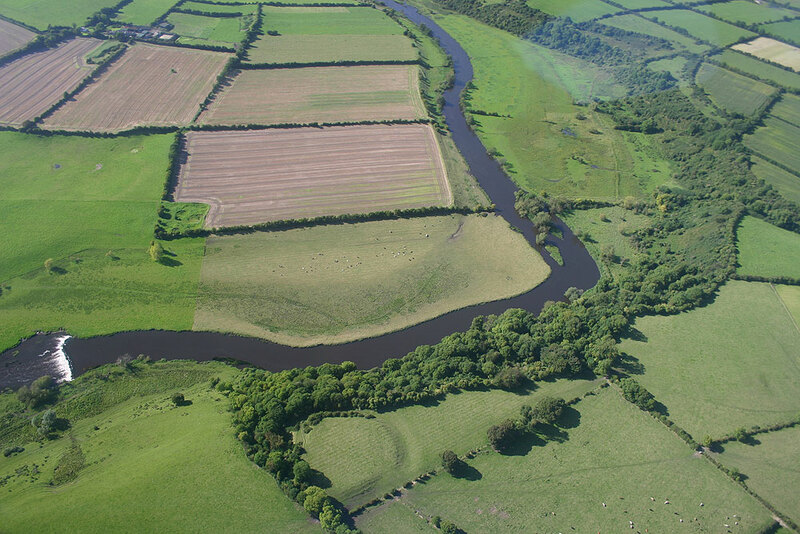 The survey, carried out by archaeologists Joe Fenwick, Gerard Dowling and Roseanne Schot of the Brú na Bóinne Research Project, has been submitted to An Bórd Pleanála as additional information as part of its consideration of plans for the proposed bypass. The earthwork was said to have been found at Crewbane, near the home of Mr Rogers. It was prompted by the discovery in 2007 of a souterrain in Crewbane, at the perimiter of ther Brú na Bóinne UNESCO work heritage site ‘buffer zone’ 2km east of Slane village and 1km from the prehistoric passage tomb of Knowth. The archaeologists said that “this impressively large earthwork” is not recorded in the Sites and Monuments Record for County Meath. “It is apparent that the Crewbane souterrain is not an isolated archaeological monument in the landscape, but one element in a complex of archaeological features situated on and around this prominent ridge overlooking the river Boyne. These include a second and possibly third potential souterrain, a substantial linear embankment, a circular enclosure (of) 40m in diameter (a possible ring fort), a relict field system and associated open settlement of possible medieval or early modern date,” they reported. Mr Fenwick has suggested that the “only realistic option” for the traffic problem in Slane was to ban heavy goods vehicles entirely from the village and provide an east-west corridor to the north of Slane, to redirect this traffic towards “the new and under-utilised” M1 and M3 motorways. The consultations with An Bórd Pleanála end this Friday. Meanwhile, the Save Newgrange campaign has brought its fight against the proposed Slane bypass to the North-South Ministerial Council. The group has complained to An Bord Pleanala and the North-South Ministerial Council that the public consultation process for the bypass is in breach of the Belfast Agreement, because the consultation does not extend to Northern Ireland. They say that the road proposal is in breach of EU environmental law, which provides for transboundary consultation, where the project is of a transboundary nature. Spokesman Vincent Salafia said that the N2 Slane Bypass was part of the plan to link the A5/M2 motorway between Dublin and Derry, which is being funded as part of the Belfast Agreement. Minister for Transport, Noel Dempsey, has committed €500,000 to the Northern Ireland authorities for construction of the A5 and other roads under the agreement. This entry was posted in Heritage Campaigns, Save Newgrange, Vincent Salafia and tagged bypass, crewbane, enclosure, feniwck, joe, n2, slane, unesco. Bookmark the permalink.